The beach entrance to York's Wild Kingdom and Amusement Park in York. 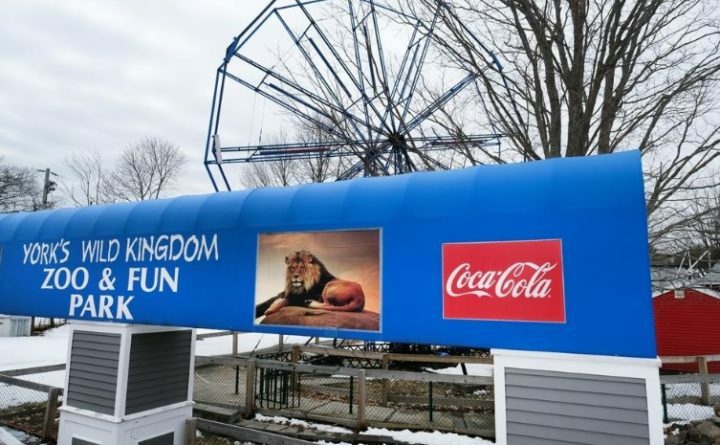 York’s Wild Kingdom, the iconic wildlife and amusement park in York Beach, is for sale for $14.2 million, although the owner said he’s not in any particular rush to sell and said the park will open for “business as usual” on Memorial Day weekend. “We are certainly opening this year. I plan to open next year, and the year after that,” co-owner Joe Barberi of York said. The 58.4-acre property went on the market in late February, and is being offered by KRE Brokerage Group, with offices in Falmouth and Old Orchard Beach. The listing agent is King Weinstein, who developed Meadowbrook Plaza on Route 1 in York. The property abuts Route 1 on one end and Railroad Avenue in downtown York Beach on the other. The KRE website lists the parcel as 23 Railroad Ave. and not as York’s Wild Kingdom. It is located in the town’s Route 1-4 zone, which allows most commercial, recreational and residential uses. It does not allow industrial uses. Barberi said in an email that an acquaintance who is a realtor, presumably Weinstein, “asked if we would consider selling the park. Not getting any younger and everything having to do with its price, I told him he was free to pursue the idea. “If he could find someone who would like to buy it and would be willing to pay the price without any negotiations then, fine, it’s a deal,” he said. The town of York has assessed the property for $5.9 million. The property comes on the market at an interesting time. Just this past week, the town sent out a request for quotations seeking an economic development consultant to work on the town’s Green Enterprise Zone — a 300-acre area that stretches from the town-owned land surrounding Short Sands Road, the new connector road to the beach, to almost Cape Neddick Road. York’s Wild Kingdom property is included in this zone. “The fact that York’s Wild Kingdom is on the market right now makes it interesting,” Town Manager Steve Burns said. Meanwhile, Barberi said, it’s all systems go for the 2019 opening.